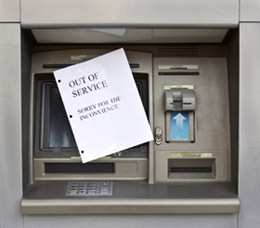 Even those that don't bank with the RBS, NatWest or Ulster Bank can't have failed to notice the fallout from the technical error that caused disruption to thousands, if not millions, of customers this past week. Not only were customers publicly reporting problems in real-time and sharing their frustrations on social media platforms, we also saw the media reporting various stories, from the likes of The Times relaying what affected customers should do, to the Sunday Express featuring a story about a mother being forced to shoplift after being left penniless by the 'NatWest banking crisis'. In a case like this when the proverbial hits the fan on such a large scale, it reaffirms how critical it is for businesses to have solid crisis management plans in place, as the RBS Group so clearly did. The expectation of a global organisation of this size is that it should have a pretty slick crisis machine in place. The banking industry has been hauled over the coals these past few years, accused of burying its head in the sand through the financial crisis and more recently during the executive pay saga. However, on this occasion, the RBS Group had a plan and it was executed well. Last minute ads were booked, messaging tightly controlled, branches opened on Sunday, cash advances given to affected customers and the corporate hospitality at Wimbledon cancelled. Communication was handled in the best way possible - from media interviews on popular national programmes and adverts placed in national newspapers, right through to direct communication with customers updating them on the situation and what help was available. If this had happened to a bank in Greece for example, or Northern Rock five years ago, no-one would have so readily believed the problems were due to a technical error and utter chaos would have no doubt ensued. Brand damage is very much controlled by perception, and whilst cancelling the planned corporate hospitality at Wimbledon for example would have had no direct impact on customers, it wouldn't have looked good for RBS executives to be out enjoying themselves while so many millions of people have been inconvenienced. The question that only time will be able to answer is whether all of this was good enough for the brand not to suffer in the long-term. The reality is that occasionally mistakes happen and things go wrong, but what we do to rectify those problems and how quickly is often how we are judged - let's hope that that's the case for the RBS Group. Wow what a creative post, great collection.A website which catches the eyes of the audience has more chances of success.Thanks for sharing such a cool and interesting post.